For an individual who is addicted to Oxycontin, heroin or another dangerous opiate the thought of seeking help in an opiate addiction treatment center or rehabilitation center may be both scary and daunting. Unfortunately, opiate addiction is a dangerous and sometimes deadly condition that is never truly cured all the way. The treatment will take time, effort and a lot of patience for both the recovering addict and their family members. Many lifestyle changes will be necessary and the idea of making so many changes may be difficult to fathom for the recovering addict at first making the mere plan to seek help even harder to cope with. You can find opiate addiction help today! 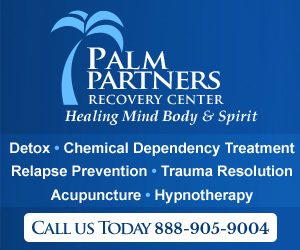 One of the most common methods of opiate addiction treatment is to use medication maintenance therapy. While this may seem like a weird way of “fighting fire with fire” to some addicts, the idea is to provide the recovering addict with methadone, Suboxone or buprenorphine to help control their cravings and reduce withdrawal when they stop using other opiates. Medication maintenance works well for many addicts and in time the medication that is taken to reduce the effects of the opiate withdrawal will be tapered off to ensure that the recovering addict does not become addicted to a new drug. Statistics show that those who use medications such as Suboxone or methadone as part of a medication maintenance routine to curb opiate cravings and withdrawal symptoms are 71% less likely to abuse intravenous drugs while they are participating in such a program. While this number may not seem all so profound, the truth is, that this could be a matter between life and death for the recovering addict who was previously an intravenous drug abuser. The role of therapy will be quite different from one addict to the next and could even change day to day. The idea is to help the recovering addict to heal psychologically from their opiate addiction in a manner that will help them to become better, stronger people who say no to drugs for many years to come.